DAYTON, Ohio (AP) — Wright State University’s administration says a strike is not imminent even though the faculty union has set up the process that would allow them to strike if a contract isn’t reached. The Wright State chapter of the American Association of University Professors union recently passed an amendment to its constitution to allow a strike. A union leader says the faculty had never needed a strike procedure. Negotiations have been stalled since March. The union’s contract expired in June and a fact finding report is scheduled for January. The previous contract remains in effect for now. The administration says there has never been a strike at Wright State and one isn’t imminent. The union says a strike would be a last resort. FAIRFIELD, Ohio (AP) — Police say five people have been stabbed in a nightclub brawl north of Cincinnati. Officers in Fairfield were called to the nightclub early Sunday. Police say several gunshots were fired inside the bar during the fight but no one was hit. Officers say they found some people with stab wounds at the nightclub while other victims showed up at nearby hospitals. Police haven’t released any information about what led up to the brawl that started in the nightclub and spilled into the parking lot. They say it’s not clear what type of injuries all of the victims suffered. FAIRBORN, Ohio (AP) — An Ohio firefighter-paramedic driving an overdose patient to the hospital needed rescue himself. Fairborn Fire Department officials say the man wasn’t seeing or feeling right Thursday evening, so his partner jumped to the front to stop the ambulance. The partner then administered the overdose-reversing drug naloxone, and drove the firefighter-paramedic and the woman they had been transporting to a Beavercreek hospital, in southwestern Ohio. Authorities say both recovered . They haven’t released their names. Increased use of powerful synthetic opioids in Ohio and other states has heightened risks for police and firefighters who can be inadvertently contaminated when responding to drug overdoses. Fairborn Police Capt. Terry Bennington says the woman who overdosed could face charges, depending on the results of police investigation into what caused the firefighter’s apparent overdose. 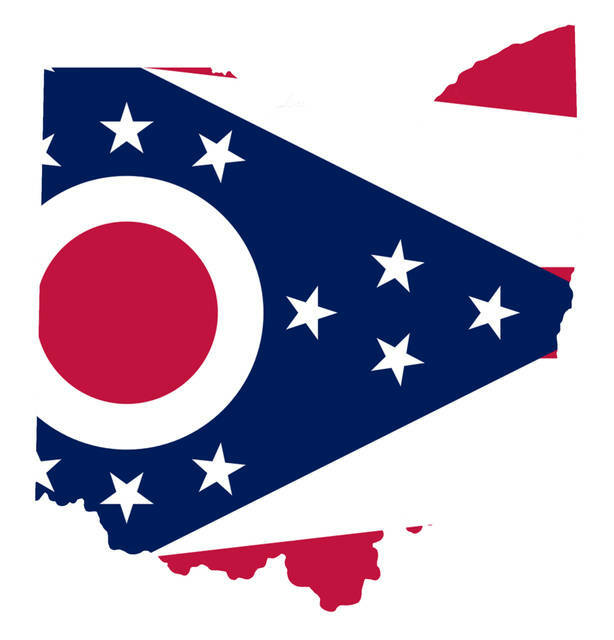 COLUMBUS, Ohio (AP) — An Ohio state lawmaker wants to make it more difficult to put constitutional amendments before voters, saying the goal is to keep out-of-state interests out of Ohio politics. The resolution would amend the Ohio constitution to increase the number of signatures needed to get an item on the ballot. Republican State Rep. Niraj Antani of Miamisburg made the proposal a week before the Nov. 7 election. The resolution also would increase the vote total needed to pass from a majority to 60 percent of the vote. The measure would ban campaigns from paying people who collect signatures for ballot petitions. Ohio had a similar ban that was struck down as unconstitutional in 2006. The proposal has not yet been scheduled for a hearing in the legislature. COLUMBUS, Ohio (AP) — The Ohio Department of Health says hunters and those trekking in wooded areas should use bug spray and take other precautions even in cold weather to prevent being infected with tick-borne Lyme disease. The state agency reports that 241 cases of Lyme disease have been reported in 60 of Ohio’s 88 counties this year. The number of cases has risen steadily the last five years, with 160 reported last year after only 93 in 2013. Lyme disease is passed to humans by deer ticks and can cause flu-like illnesses, muscle pain and headaches. A rash shaped like a bull’s-eye is often seen around tick bites. The Ohio Department of Natural Resources recommends people walk in the middle of trails and tuck in clothing to prevent bites. COLUMBUS, Ohio (AP) — A winemaking expert says Ohio needs more vines to continue its growth as one of the country’s biggest wine producers. Todd Steiner directs the winemaking program in Ohio State’s College of Food, Agricultural, and Environmental Sciences. He says it’s important to ensure there’s enough fruit for the state’s many wineries. A report from the government’s Alcohol and Tobacco Tax and Trade Bureau earlier this year says Ohio is now the country’s sixth biggest producer of wine with about six million gallons annually.